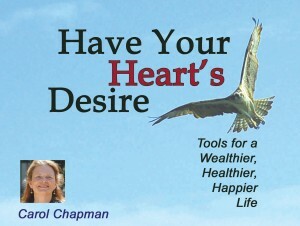 Have Your Hearts Desire is Carol Chapman’s newest book and is the first book in the “Your Spiritual Awakening” series, a series devoted to sharing the tools that have helped Carol develop her spiritual abilities. 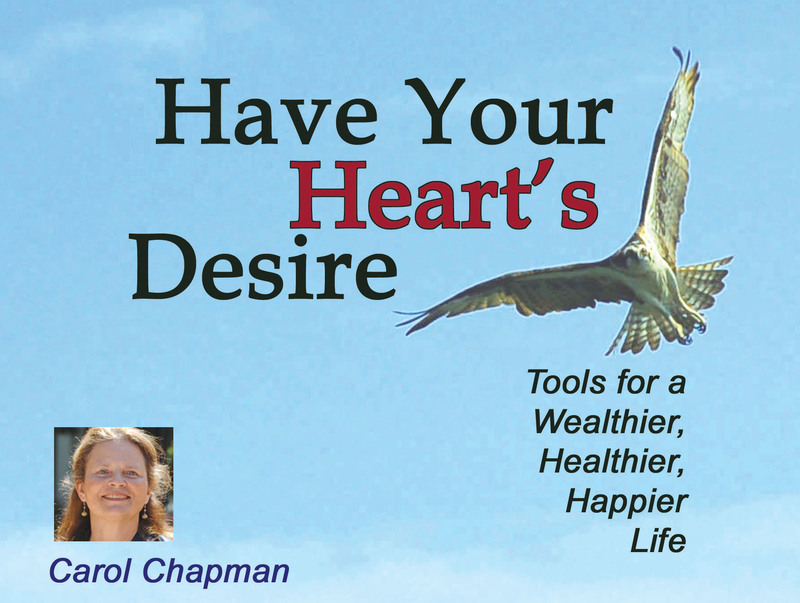 Carol will be discussing spiritual guidelines for making good choices, using the Laws of Attraction, the power of prayer, and more in the Have Your Heart’s Desire event! One of the hallmarks of American psychic Edgar Cayce’s channeled information is the importance of application. Cayce said that you must apply what you learned. You can imagine how skewed a person’s mind becomes when it fills with all these wise programs to follow, but not one is actually tried. There is no real wisdom as a result. Only empty knowledge. Many people who attend Edgar Cayce events feel so advanced, because they have assimilated a lot of information from Cayce’s psychic readings. But how much have they actually applied? How much of this vast store of information is truly their own? If they haven’t applied any of it, not much. The Have Your Heart’s Desire program is an opportunity to pursue your Path of Application. It’s one thing to amass information, but if you don’t apply what you’ve learned, your information is like a silent song–it goes nowhere. The program includes participatory exercises which you can continue after you leave the event. You will apply as well as learn in this program. Many people have heard of Hugh Lynn Cayce, Edgar Cayce’s son who organized Edgar Cayce’s A.R.E., which is headquartered in Virginia Beach, Virginia. Edgar Cayce’s A.R.E. now extends to groups throughout North America and the world. Most people interested in Edgar Cayce’s psychic readings also know about Gladys Davis, his loyal secretary who recorded and cataloged the information. However, not as many people know about J. Everett Irion, who was invited by Hugh Lynn to Virginia Beach, who developed a program on spiritual awakening based on The Revelation, and who conducted sessions with individuals to further their personal transformation and psychic development. It was as a result of one of these personal sessions that Everett developed the first 40-day prayer. A man with only 6 months to live had come to see Everett. Because of using the 40-Day Forgiveness Prayer, he became cured of his terminal illness. I also benefited from one of Everett’s 40-day prayers, the 40-Day Manifestation Prayer. It was during a time of turmoil in my live. Everett suggested I use this 40-Day Manifestation prayer to better my life instead of focusing on the anger and blame I had been wallowing in. It helped me immensely. Author of Have Your Heart’s Desire, When We Were Gods, the End of the World 2012 Book, and Arrival of the Gods in Egypt, her articles have been published in several spiritual magazines such as Venture Inward, Alternative Perceptions, Dream Network, FATE Magazine, and The Open Road. A frequent guest on radio talk shows including Coast-to-Coast AM (Art Bell and George Noory), Carol is an award-winning photographer who previously worked for NASA as a photojournalist. She created the Edgar Cayce Divine in Nature Calendar and the End of the World 2012 Movie and the travel documentary: Yucatan Travel: Cancun to Chichen Itza.